charles s. anderson design co. | ? Bill Phelps is a fashion and advertising photographer who specializes in timeless black and white compositions. 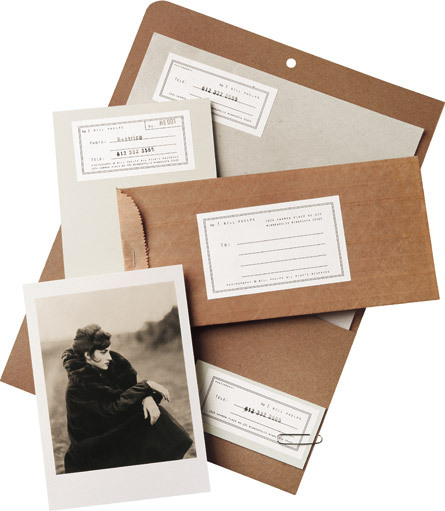 CSA designed his stationery system with a refined, yet hand-made, feel. Newsprint and craft-colored envelopes with typographic labels provided the perfect backdrop for the presentation of his work though mailings.